Another card made despite the weather throwing wind, rain, sleet and snow today. It really is very galey out there so to pass a bit of time inbetween several other jobs I took time out for this. I took 2 different lavendar shades of paper, one cut with a MS border punch 'woodland branch', some butterflys from a Tonic Studios punch, both items from Brenda, 'thankyou'. Spellbinders heart in bottom corner, stamped image from Pink Petticoat, free with a mag, coloured with Promarkers, sticky sentiment, pearls and lace from stash finished with glamour dust. 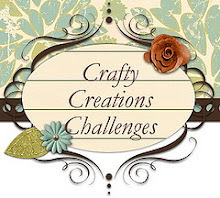 Lots os challenges...Crafty catz, Sweet Stampin, Crafty Friends, CCT, CYP 2nd, Natalie & Amy..sorry to hear it's their last one, Fab n Funky, Glitter n sparkle, Let's Create, Dream Valley, CCC,CRAFT, Promarker,Creative Inspirations. Thanks for your time today! Hello, so soon you ask....I know my posts haven't been as regular but I just had to show this one called 'monster pants' from Pollycraft, a digi. The planets and rock clusters are from a Crafters Companion (earlier stamps), I think I've invented some new planets looking at those colours, I wonder what Tim Peak would say? Focal sentiment made on my computer. Everything is lifted on foam pads, coloured with my Promarkers. This is the one I'm entering in the challenges, the front is a little shorter. I made another one too. 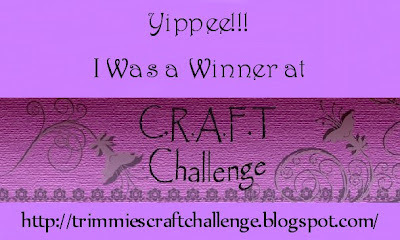 Challenges...Allsorts, Little Miss Muffet, Pink Gem 2nd, Crafting for all seasons '1st card..3 planets, 3 rock cluster', Penny's, Winter Wonderland, CYP, Crafting from the heart, Simply papercarfts 2nd, I Love Promarkers and Crafting with friends 2nd. 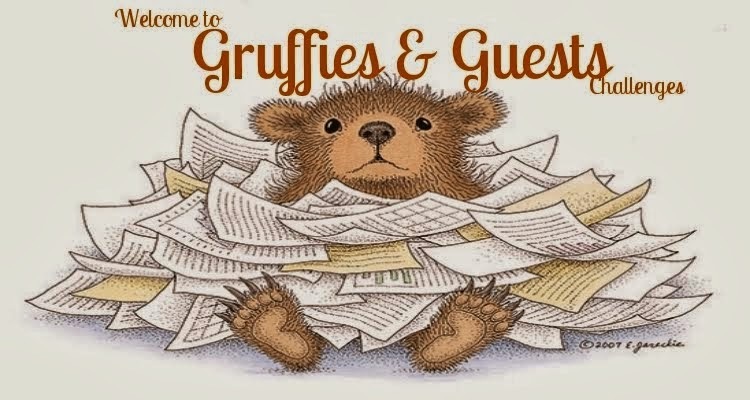 Many thanks for visiting and I do hope everyone is well and crafting away! Hello all, I've got a QKR digi image called 'springtime' to show you, coloured with Promarkers, Cuttlebug has had its use on this one, embossing folder, Baby Face Dies, hand cut bunting from scraps, piece of old ribbon, glamour dust. 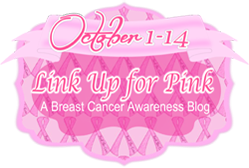 Challenges...QKR, Cupcake Inspirations, Glitter n sparkle, I Love Promarkers, Promarker, Simply Papercraft, Crafting-with-friends, Crafting from the heart, Ribbon Girls, Crafty Sentiments, Pink Gem, Paper Shelter and Crafty Ribbons. Wishing you all a great weekend, until next time, bye. Hello all. 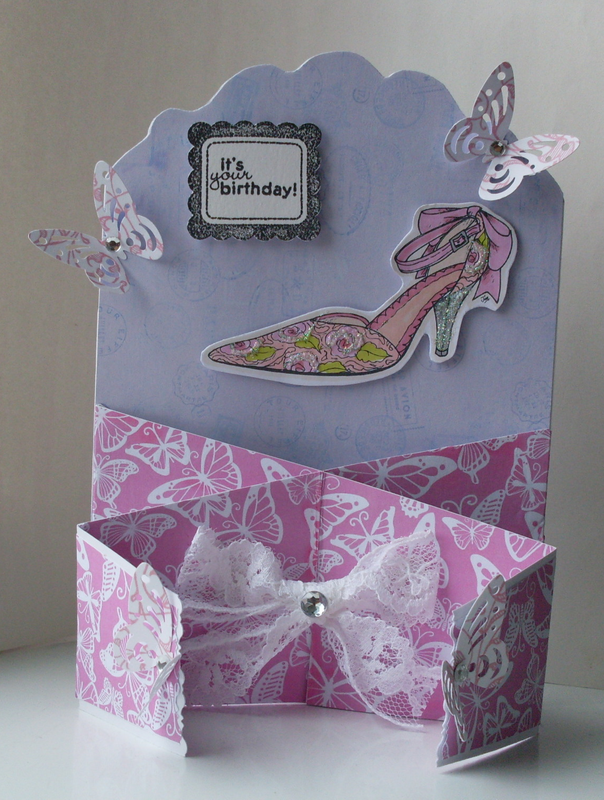 My creation is a handcut shaped card using my cuttlebug alot on this one. Embossing folder used on the lilac, top red strip was a freebie folder with a mag, CC Designs Phlox flower dies, Spellbinders heart, bit of white faux stitching, top sentiment was free also on a set with a mag and ofcourse the cute little meeces are Penny Black. Coloured using promarkers. Several challenges I'm entering...mainly on the 'love or hearts theme', Winter Wonderland, Crafty Creations, Crafty Ribbons, Penny B Friends, Penny Black at allsorts, Creative Inspiration, Ribbon Girls, Get Creative, CCT, Stamp Sensations, Crafty Calendar, Simply papercraft, I Love Promarkers 'bingo..went with ribbon, sentiment, flower', Crafting for all seasons, Crafting by designs, Crafting from the heart, CYP and Incy Wincy 2nd. Have a lovely weekend. Morning all. It's not a good start here, the winds are back and not really settled weather at the moment. Today my card is for that special occasion next month. Very simple, digi printout from Crafters Companion website, distressed round the edges, grosgrain ribbon bow, 'baby face' dies used, sequins at the top. The front is slightly cut away. Basic Grey journal stamp inside, used Elzybells sentiment. The insert also has a strip of what is on the outside. The back and now onto some challenges.. CCT, Crafty hazelnuts Patterned, Crafting by designs, Penny's, Cupcake Inspiration, Crafty Sentiments, CYP, Crafting from the heart, Crafting with friends. Bye. Hello. It's a very blustery day in the UK, and those gales are picking up speed as I type. I hope there won't be too much damage after. Onto my card which is a wedding card and I do like to keep them handy for occasions when they're called for. It's a lovely digi image from Ladybug Crafts Ink which sadly is no more called 'Bride & Groom', coloured with my Promarkers, lifted with some foam pads for dimension, embossed using my cuttlebug, faux stitching, inexpensive ribbon, glamour dust on flower bouquet, massive heart diamond for her necklace and rhinestone on top of bow. Finished with silver peel-off. There's lots of challenges I could enter this one in so here it goes...CYP, Glitter n sparkle, Crafting with friends, Simply Papercrafts for all occassions, Promarker, I love promarkers 2nd, MAWTT, Creative Inspirations, Incy Wincy, Penn'ys 2nd, Crafting from the heart, Ribbon Girls, Crafty Ribbons. Thanks for taking a look at my creation,bye. Hi to all, I hope all is well once again in blogland. I've been meaning to show this stamped candle I did for a relative. They always go out of their way to show kindness and it's the least I could do to show my appreciation. Stamp used is one of the older Lily of the Valley, great one for any celebration really, coloured with my Promarkers and heating gun used to transfer it on. The lovely flowery design is another clear stamp from another set. Sorry about the wonky pic, this was the back, I did pack it only forgot to take a pic of it. 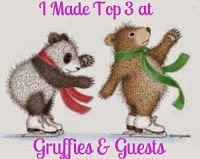 Challenges entered are 10...Ribbon Girls, Dream Valley, Winter Wonderland, Penny's, Simon Says, ABC, Creative Inspirations, CCC, I Love Promarkers and Crafting from the heart. Bye for now! Hi, hope everyone is warm and indoors. It's freezing and we woke up yesterday to a white blanket of the soft stuff (snow). Absolutely lovely, hope it kills all those bad bugs. Last year nothing settled and it was great seeing adults taking their youngsters out to make the most of it, forming memories on their gadgets this time, heating was on full all day, I've given it a respite today and aired all the house...bugs are rife at the moment and I need to keep on my toes to get things done, mainly finish off projects and alter a few cards etc. 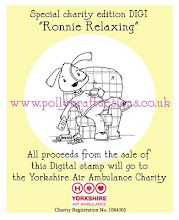 Today my card is using Michelle R's digi d/loads called 'vintage'. I've used this one before and it's always greatly received. There's the sheet of digi on base card, then acetate with gold peel-off corners, then a cut out butterfly strengthened onto card, curved wings and lifted with foam pads, stamped sentiment and inside too. Finished with glamour dust on wings, red ribbon threaded and corners rounded off. 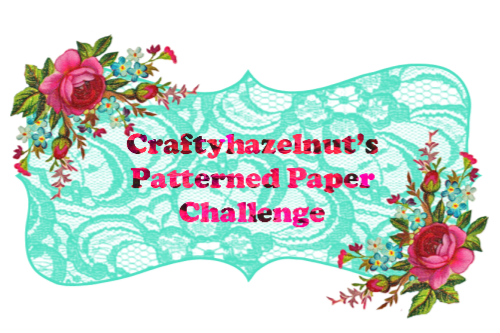 Onto some challenges...Winter Wonderland, Sweet stampin, Allsorts..not entering for prize tickets, Crafty Hazelnuts Patterned Paper, Creative Inspirations 2nd, Crafting by designs, Crafting from the heart, CYP, Lets Create 2nd, Not just cards and Cards Galore. Many thanks for your visit. Any sewing challenges out there? 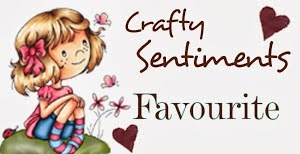 Hi, I thought I would ask a question today as while my blog was fairly quiet last year I did delve into a spot of sewing practical gifts to give family as presents. This is a small laced detail pincushion and glass dish manniquin pincushion. It started out as a time filler and new venture to get back to using my Janome DC3050. I want to make the most of it and Debbie Shore on Create & Craft was a good enough inspiration to get me back in, she is a genius and explains everything so well. Last year I made some 'bags for life, or as I like to call them 'bags to keep in the car' for special people in my life. They were greatly received and the scraps were used up very well and therefore no wastage. My daughter is very creative and imaginative, so while she was at Uni, I made these to add on to her milestone birthday presents. She initially asked where I bought them from and then was gobsmacked with my reply. It's always so comforting to know they've loved receiving them. There are many patterns for these type of pincushion on the internet and so many beautifully 'overdecorated' ones. I would think they would sit as an ornament rather than a practical usage one. Lace is from my evergrowing stash, scissor charm from the Works long time ago (came in a men's diy charm set), beautiful measuring tape ribbon from The Ribbon Girl in Ivory as is the 'handmade' ribbon. For the top I just slid a long pin through a pearl bead and then a silver bead from my stash and hot glued it in. Most embellishments have been stitched by hand. Hot glue used to sit it in its glass base which is a heavy weight old fashioned dessert dish ( new to me from a charity shop). Lovely jubbly! While I was in the mood last year I made a small batch to sell. Hope you like my creative make, not a card I know but I hope it fits in these challenges...Crafty Ribbons, CRAFT, CCT, Pink Gem, Crafty Calendar 2nd, Crafting from the heart 2nd, Glitter n sparkle 2nd..no paper, bow, stitching. Allsorts...ribbon & lace....not entering for the prize as I wouldn't be able to go if I did win. So there we have it, now on a lookout for sewing challenges so I can show what I did last year. Have a brilliant day all! Hello all, hope that everything is well for you. I thought I'd make a couple of Mother's Day cards ready for the 6th March. Sorry about the wonky pic, lighting was very bad today so while I concentrated on that, didn't realise my card wasn't straight..oh dear! On my card is a 'New' to me digi d/load from Crafters Companion website called Antique Chic from Hunky Dory, distressed the edges a bit. I stamped with a journalling stamp Basic Grey clear stamps in memento ink top right corner, then with an Elzybells stamp did the wording, die cut some flowers and layered them on, some grey ribbon from Wilko's, punched out layered butterfly, silver charm dangling, finished with glamour dust and sequins. I love the pink butterflies and the beautiful vintage look on this d/load I may do the others in this type too. This is card showing a little of the inside. Sentiment is Elzybells, the same vintage print is on the side....actually a happy mistake because I kept putting in a smaller sheet of paper and couldn't understand why it didn't print the rest...I think I wasn't too well that day. 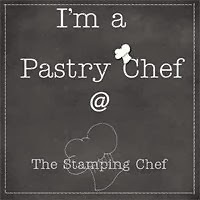 I made a bit of an effort on the back by cutting a small patch from the printout, sticking it down and then stamped with my personal stamp over it. Just looks a little bit professional. So onto challenges which are several. Firstly CYP, Fab N Funky, Crafty Sentiments, Crafting from the heart, Stamping Sensations ( I hope there's enough of the stamping there), Cupcake Inspirations, Simon Says, Crafty Calendar, Crafting by designs, Get Creative, CCT, Creative Inspirations, Winter Wonderland, Glitter n Sparkle 'tic tac toe..stitiching, ribbon, glitter', The Paper Shelter, Let's create (layered flowers and butterfly), Crafty Catz...flowers made. Have a lovely day till next time, bye. Happy New Year to one and all. I hope 2016 is all that each of you wish for it to be. I know that christmas has been and done but there were a few half done cards so I'm showing them anyway now that they're finished. I've used that same recycled strong acetate from my last card. Cute digi image is from Pollycraft...Rudolph farewell. Isn't this a fantastic fun image, I've coloured with my Promarkers, glamour dust applied for glitter on the wording, a shiny red nose using Anitas 3D gloss, embossing using a Darice folder, stamped small snowflakes, finished with pearls and a wonderful red bow ribbon. Now to challenges....few of my favourite ones have closed down so I was a little sad. I'm sure though there are many out there, I'll just have to find them. Here goes for 10 challenges...Dream Valley, Glitter n Sparkle, CCC, Promarker 2nd entry, Catch the bug, Winter Wonderland Bingo..snowflakes, glitter, Pearls. 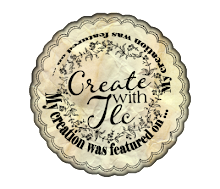 CCT, CRAFT, Creative Inspirations and CYP. Thanks for visiitng, wishing you a fab day. Happy Christmas everyone! Hello, I'm still here through what seems like a very difficult year for me. I am hoping for a better start to 2016 and would like to wish you all my blog friends a peaceful christmas season. It has been a long time since I blogged about a card even though I've been keeping busy with sewing projects, something to show another time I think. So onto my Santa card which has a front acetate embossed with my Cuttlebug using a Darice snowflake embossing folder from Natalie & Amy, some lovely punch detail with a Martha Stewart 3 dot scallop punch from the very generous Brenda, image is a Sarah Kay stamp coloured with Promarkers. The red snowflakes are a stamp free from a magazine, a sentiment ticket to finish off! I also wrapped up some sledges, the idea I got from here. What a brilliant display for the mantelpiece for 4 kids, 2 of which are in their 20's. You're never too old for sweets! 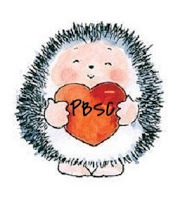 Onto some challenges now...CYP, Natalie & Amy, Paper Shelter, Crafty Creations, Crafting from the heart, Crafty Calendar, CCC, Promarker, Crafting Musketeers, Penny's, Glitter n sparkle, OSAAT, CAGI and Crafting by designs. Thankyou for taking a peek here, stay well all and enjoy the festivities. Hello to all. Hope today is a good day for you and the weather out there is better than here...drizzley and wet it is! My card today has several dies using my Cuttlebug...Marianne designs Bicycle, Crafty Sentiments Fence, C.C. Designs Phlox Flowers. I've doodled round the edge, and if you look closely there are some embossed bees and butterflies using my 'light box'...what's one of them I hear you ask..it was my first purchase in the land of crafting and I still use it now and again. I did in those days buy several brass stencils to go with it. So I've finished off with a bit of glamour dust. Oh the large sentiment is a stamp from Daisy & Dandelion range from Pickles & Onion. 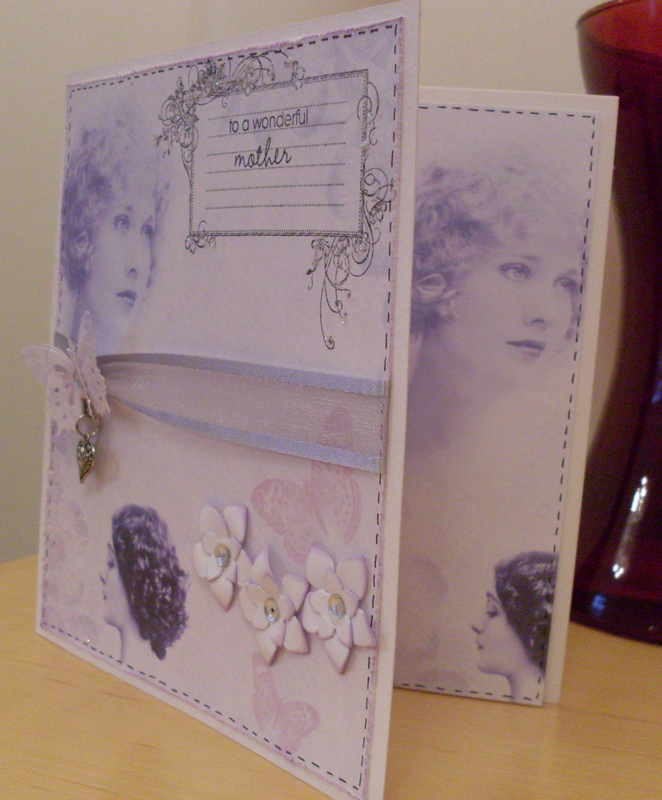 It is really a simple card with added texture and everything used is definitely 6 months and if not older. Challenges entered are Cuttlebug 'wheels', Eclectic Ellapu '6 months older', CYP, Crafting from the heart, Let's Create 'dies/punches' 2nd as is Glitter n sparkle, Cupcake Inspirations 'pic inspired', and Simon Says 'dies'. Have a super day! Hello, hope you're all well and happy crafters. I thought you might like to see what I've been upto last couple of days. I adore this curtain material set of 2 for only £3 from a charity shop. The pink with the green is so beautiful and instantly I could see bags. I want to be able to get used to using my sewing machine again. It was an investment to pass down to my daughters but one of them needed something very easy to use and so we got her one at a reasonable price and she wanted a Singer, mine is Janome. I made these 2 for the time being but can easily get 4 more. 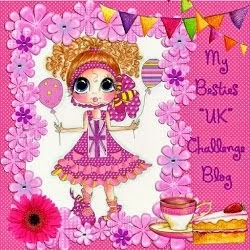 Challenges entered are...Creative Corner, Stamping Sensations, Crafty Creations, Fab n Funky, Crafty Calendar. Hope you like my upcycling at such a bargain and very practical too. Take care all. 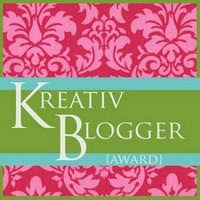 Hello again happy crafters! I'm here to show this special card for a family member...she definitely likes her shoes and loves lace. I've seen this new type of card around blogland and just adapted the front bit a little. Apart from the sentiment which is stamped, the rest is digital. The faded lilac is from Sizzix 2014 d/load, the pink is Crafts Beautiful d/load, shoe image image is from Just Inklined, gems, lace from stash and the lovely punched butterflies is a Tonic Studios punch from the lovely Brenda. Gorgeous butterflies, another punch to add to my collection. Promarkers for colouring and glamour dust. 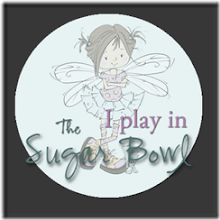 So the challenges entered are 10...Incy Wincy, Cutie Pie, Eclectic Ellapu, CYP, Crafting from the heart, Lets create, Crafty Sentiments, ABC, Glitter n sparkle and Penny's. Wishing you all a great week ahead, I'll have another sewing make on here next. Bye. Helloooooo one and all. I'm still busy with other crafting interests such as this one I sewed up. I won't be too long with some card makes so please don't despair my good friends. I'd like to say a 'big' thanks to Brenda from Floral Fantasies for my lovely parcel of goodies I won recently. I know I've not created much in the way of cards but there's one or two I did make so will post them on here shortly. Getting back to this practical, useful item made out of two lovely curtains on sale at a local charity shop. Fine strong material for me to upcycle and I was super excited. My intention was to make a pair of 'bags for life' to keep in my car. We'll soon be needing these more than ever as plastic bags will be costly in most stores starting in October. As you can see 'a bargain for lined ones'. Tape has come off the top, section cut off for the handles, halved and assembled so the flowers stay the right way up. Handles sewn and pulled the right side through with my daughter's big terry nappy pin which I've still kept. ...with my name stamp inside. Hope you like my creative sewing. Hope to be on here again soon. Bye and take care everyone.